The first RHA product to use 303F stainless steel, the MA750i features handmade dynamic drivers in an effort to create precise audio reproduction with an open soundstage. Designed with contoured over-ear cable supports, the MA750i is said to provide a secure and comfortable fit for active use. The MA600i, constructed from aircraft-grade aluminum, combines RHA's unique aerophonic shape with custom dynamic drivers for highly accurate, balanced sound reproduction. Both earphones are supplied with a selection of RHA's dual-density, double-flange and memory-foam eartips to ensure effective noise isolation and comfortable fit. The MA750i and MA600i also include carry cases and RHA's patent-pending, stainless-steel eartip holder. Designed for use with compatible Apple devices, the MA750i and MA600i are each equipped with a "Made for iPod, iPhone, iPad" three-button remote and microphone. 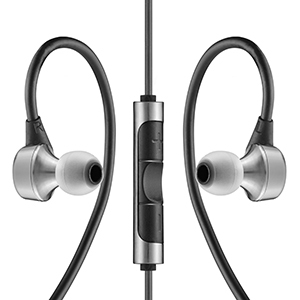 A version of each earphone without remote and microphone (MA750/MA600) will be available in September.